With tax law changes going into effect in 2018 and many rules applying to the charitable deduction, it’s a good idea to check deductibility before making year-end donations. First, total up your potential itemized deductions for the year, including the donations you’re considering. 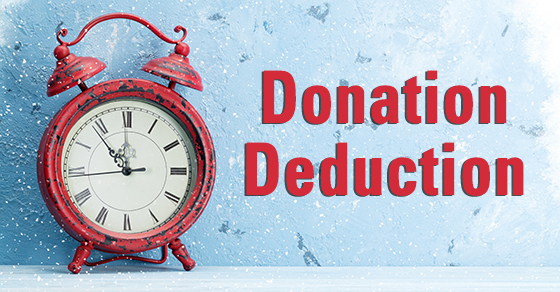 The total must exceed your standard deduction (which has been nearly doubled by the TCJA) for year-end donations to provide a tax benefit. Next, make sure the organization is qualified: http://bit.ly/2gFacut Finally, meet the Dec. 31 delivery deadline. Contact us with questions.